Sharing a review of your experience with Smilin Dental is an affirmation of our commitment to providing each patient with the highest caliber of service. Ken Milin is one of the top dentists in the Chicago area. He combines a highly ethical approach to care, thoughtful treatment planning, excellent hands and his passion for dentistry to deliver superb care fort his patients. Dr. Steven Bacalar did a great job fixing some chips that I had in my tooth. I am leaving feeling confident about my smile, that's for sure! He made sure I felt comfortable and has a smooth, calm and comforting energy. Thanks Dr. Bacalar for being excellent. I have had the distinct pleasure of having Dr. Ken Milin as my dentist over the past 5 years. During that time, I have had Dr. Milin provide general dentistry for me, as well as my wife. About 3.5 years ago, Dr. Milin suggested that I consider orthodontia, as my teeth had shifted since early adulthood (I did not require braces as a child). As a fifty year old medical professional, I was quite hesitant and a bit skeptical initially, but with a great deal of caring, explanation and empathy from Dr. Milin, I decided to take the plunge. After completing the orthodontia phase of my dental metamorphism, Dr. Milin, in a painstaking and incredibly accurate, exact, and thoughtful manner, had restored my teeth and smile to what I could only dream of ever having. His professional, logical approach to the restoration was extremely pleasant to undergo. His technique is gentle, thorough and takes into account not only the physiologic and anatomic aspects of cosmetic dentistry, but the psychological aspects as well. Dr. Milin’s staff, both front office as well as his dental assistant, have been an absolute pleasure to deal with. No problem or issue is too large to solve. Everyone was very accommodating when it came to fitting time in with my unusual schedule. I would recommend Dr. Milin and his staff for anyone needing general dentistry, and in particular cosmetic restoration. Dr. Milin is an artist, who takes great pride in his work. That is the type of individual I want caring for me. I will forever be grateful to Dr. Milin. My kids look forward to going to the dentist! Enough said. All dental technology, techniques and tools nowadays are nothing without the brilliance, stout heartedness and hands like feather of Dr. Kenneth Milin who masterfully restores the natural beauty what man neglects to self-damage. I have been going to Dr. Milin for over 25 years and found him to be the most honest and caring dentist. His staff is very punctual and professional. They all take great pride in everything they do. Dr. Bacalar was very thorough in examining and in explaining the treatment needed. The experience was painless and uneventful - Just the way it should be! I started going to Dr. Milin years ago, when he advertised that his practice "catered to cowards"! Dr. Milin is one of the kindest, thoughtful and most knowledgeable dentists I have ever been to! His staff (like my hygienist, Diana Special), are equally caring and attentive. I highly recommend this practice for anyone in need of great dental care! I cannot come up with one negative thing to say about this dentist and his staff....not one. The entire staff is as gentle, yet professional, as one could want. The new offices are top of the line with thoughtful touches, including screen adages and photos to keep your mind occupied when it needs to be. If ratings could be 7 stars this would be it. Excellent work. Explains everything very thoroughly. Always pleasant. Dr. Milin did a bonding on my tooth in the mid-90's when I was a grad student at Northwestern. I have lived in many cities since then and had many dentists. Without fail, every single dentist and hygienist admires my bonding and says they would never know the tooth was bonded, saying how the color and translucency are so natural. And it's lasted 22 years, a long time especially given that it's on an upper front tooth and I have Bruxism (grind/clench teeth, wear a mouthguard). Dr. Milin is a fantastic dentist. His staff is terrific too. He is kind and gentle and an amazing technician. It is remarkable that I can love a dentist!! I am afraid of going to the dentist and hate going to the dentist. I was hurt and traumatized by a previous dentist who also did poor work. Dr. Milin was recommended to us by my children's orthodontist (he goes to him). At the first visit, he said "I will never hurt you." He has been true to his word. He has had to do some extensive work too - the work was perfect and he is always gentle. My mother went to him after a terrible fall and he was able to correct the residual problems she was having. Dentistry is an art and Dr. Milin is an artist. I LOVE Dr. Milin. My family has gone to see him for years and he always does a great job. Late last year, he did porcelains on my two front teeth (a challenge since one tooth was broken as a child and we were trying to preserve its root). He did a fabulous job and my new smile is amazing! Just look at my picture! His whole team is professional, prompt and caring. I live in the city and happily drive to Winnetka to see him because you don't want to trust your teeth with just anybody! Dr. Bacalar was precise, reassuring and efficient with my procedure. A very pleasant experience. My family of 4 has been going to Dr Kenneth Milin since 1980. He is absolutely the best. First of all, he is the consummate technician; my recent implant is a work of art. (In fact my family has over many years experienced only state of the art in all of his procedures). Case in point: Last Fall I went thru a very painful tooth extraction (hence the implant). Once Dr. Milin got involved I was steered to the best team possible to get the tooth out, the surgery done to prepare for the implant (Oral surgeon Dr. David Barack in Skokie is great) and the final step, the tooth itself. Combined with his technical skills is his delightful chair side manner. He is totally focused on the patient .and is available 24/7 if you need him, as I did. He loves what does and it is clearly both his calling and his passion. I've been going to Dr. Milin for my entire life, and there really is no better dentist out there. When I moved away from Chicago and went to a new dentist for the first time, that doctor immediately filled one cavity (two teeth) and left me with an aching, sensitive jaw for over a month. When I thankfully returned to Dr. Milin, he not only fixed that filling, but also offered me a variety of preventative fluoride treatments so I wouldn't have to fill any more cavities in the future. Compared to many dentists whose bread and butter is cavity filling, this was so refreshing and just goes to show how deeply Dr. Milin cares for his patients. Aside from fillings, Dr. Milin also gave me an impeccable bridge to mask my missing tooth, which has lasted without fault for over 4 years. 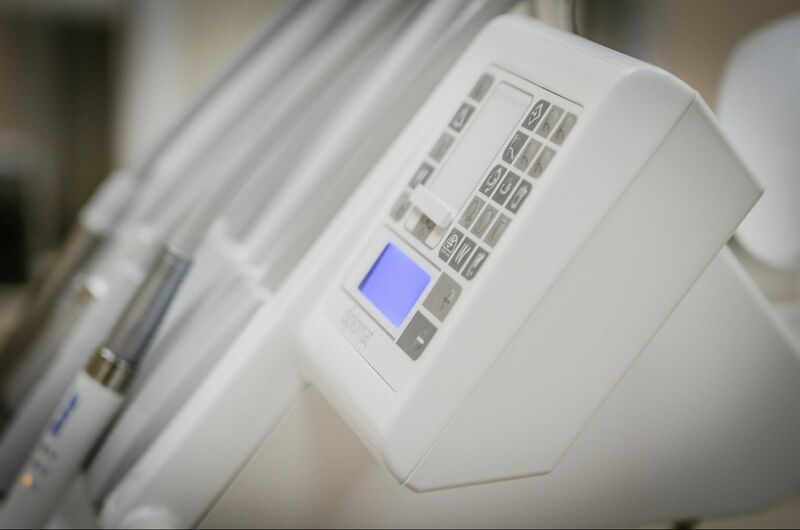 I have the highest confidence in Dr. Milin for any dental procedure. 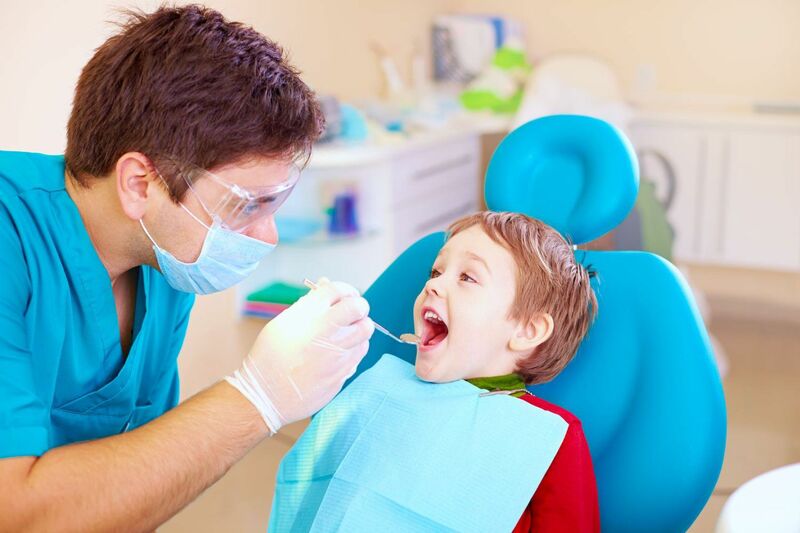 As long as my family has known him, he has always had the warmest demeanor, and everyone in his office has the utmost professionalism towards dentistry. The office is clean and friendly. To put it bluntly, I would rather fly home than go to a dentist other than Dr. Milin. He is a fabulous dentist for every single member of your family. Don't trust your teeth with anyone else! Dr. Milin is great. My children and I have been going to his practice for well over 20 years and have never had a complaint (except for occasionally from my kids, who hate going to doctors of any kind!). 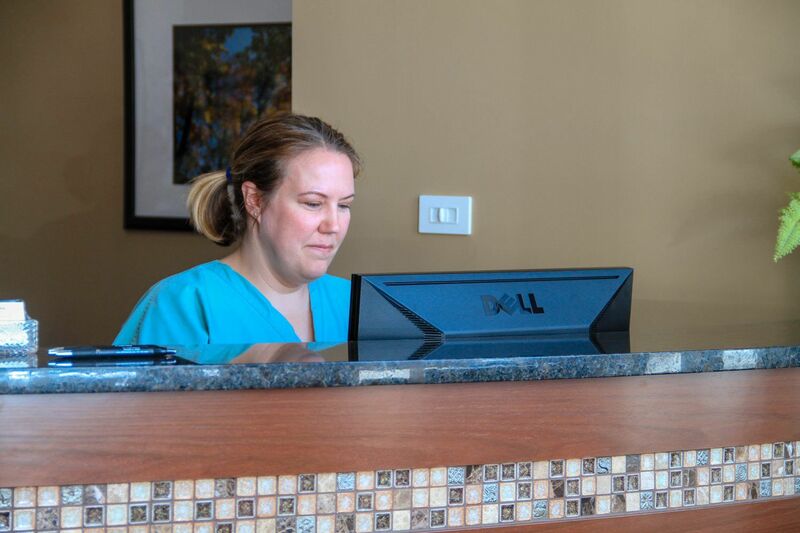 Diana is an exceptional hygienist and Dr. Milin does great, pain-free work. I highly recommend them! I have been seeing Dr. Milin for 25 years. I had a lot of work done in my mouth and he saved my teeth. Aesthetically and medically he has done a wonderful job. He and his staff are kind and very professionally. I trust him completely and I will do anything he suggests. I live in Italy 6 months a year and I make sure when I come back to see Dr. Milin and Barb, the hygienist to check and clean my teeth. I would recommend Dr. Milin and Barb to anyone who wants to take care of his/her mouth. It's not often that people rave about their dentist. Well, mine deserves a rave. Kenneth N. Milin, D.D.S. & Associates. Dr. Milin is in Wilmette. He just did a great procedure on me. I cannot say enough good things about him and his staff. If anyone looking for a new dentist, I recommend you going in to meet with Dr. Milin. We are old friends and have been with Ken since he opened his practice. It has always been a great experience. Professional and yet comfortable. Our daughter is his patient. Now her kids also come and get their dental care from Smilin Dental. They travel to Wilmette from Batavia.